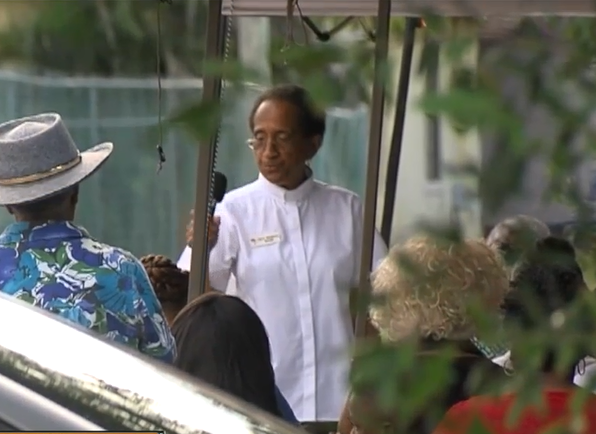 A week after the body of a Delray Beach woman was found in the Frog Alley Community Garden in Delray Beach , the community honored her life with a ceremony at the site where she was found. Just a couple family members of 33-year-old Jennifer Salcito attended the memorial ceremony. The majority of the 40 or so people in attendance did not know her well, or at all. But, they say they still want to know what happened to her and did not want her death to be in vain. “Somebody loved her," said Rev. Marcia Beam. She also did not know Salcito well but said that did not matter. “She is a child of God. Whether we knew her, whether we didn’t know her, she’s our sister,” Beam said. Beam said Salcito had recently started coming around the garden. She says Salcito was quiet, but the family at the ceremony said there was much more to her. “It was so special that they were here. They really made this so special for me, because a part of Jennifer was here,” Beam said. The family said somewhere, she lost her way within the last few years. But how, or even if, that somehow contributed to her death, no one knows. Her body was discovered in the garden partially hidden by brush. What mattered Tuesday night was that family and acquaintances no longer feel she is lost. “We love her and finally, finally she’s at peace with God,” the family said. “Hope Jennifer, her life was not in vain. I would like to see something great come out of this,” Beam said. Delray Beach police are still investigating the death as a homicide and working to piece together her final days and who she was with.